January 23, 2019 / Nadya M.
Simon and Gus are our youth double scull champions at the 2018 Youth Regional Challenge in Sarasota! Absolutely amazing achievement! Congratulations to all our youth rowers representing the NW region. Super performance from Simon, Gus, and Ian! We are so proud! 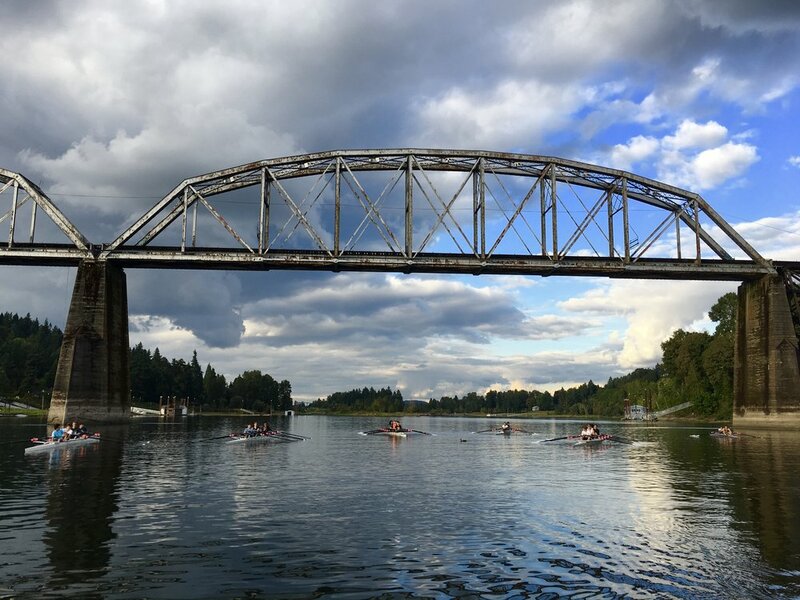 October 15, 2018 / Nadya M.
ORU juniors had amazing results this weekend with 10 boats earning medals. Those were results of preparation, hard work, and unique learning. Thank you to all athletes and volunteer parents who participated at the American Lake Regatta! 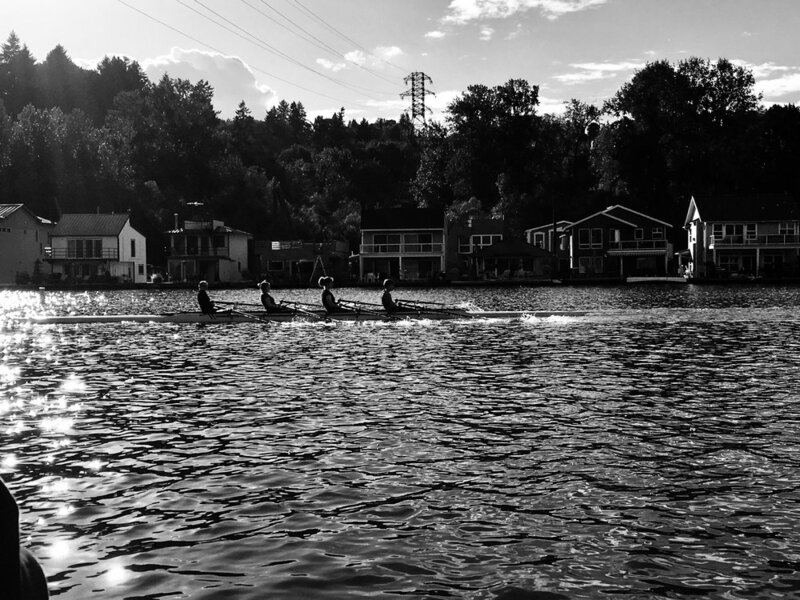 October 08, 2018 / Nadya M.
Beautiful day at the Tail of the Lake Regatta! The medals were tucked away, all three of them in the men’s double event. Congratulations, boys! Next up in the medal parade was our women’s quad who took bronze! It was a good effort from all our ORU rowers! Bravo! 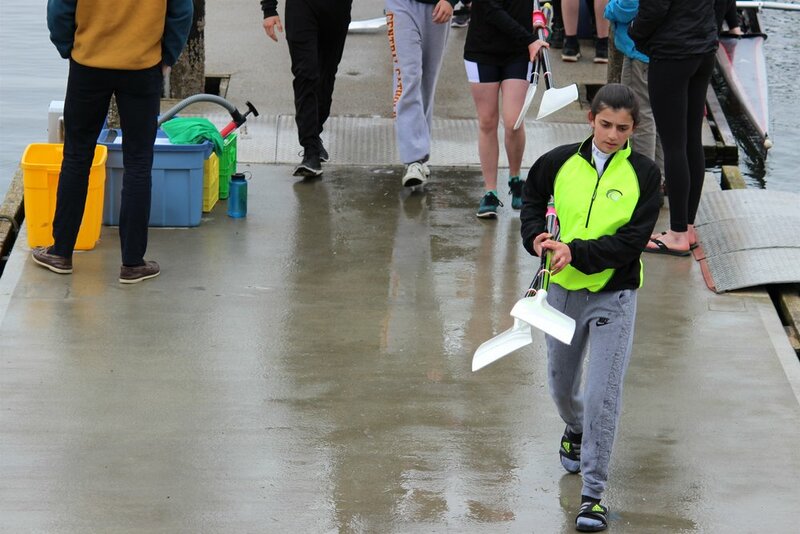 Special thanks to our coxswain Ruby! 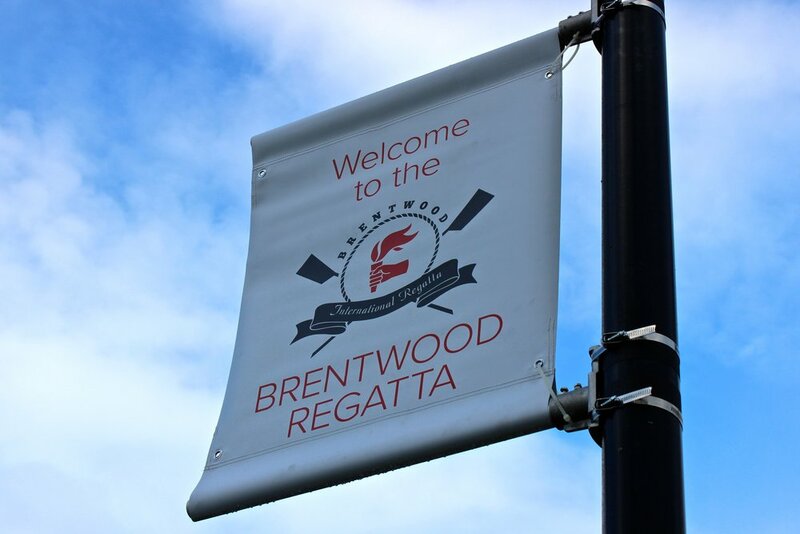 April 30, 2018 / Nadya M.
What a fantastic weekend at Brentwood International College Regatta! ORU JUNIORS were able to medal in 8 events. 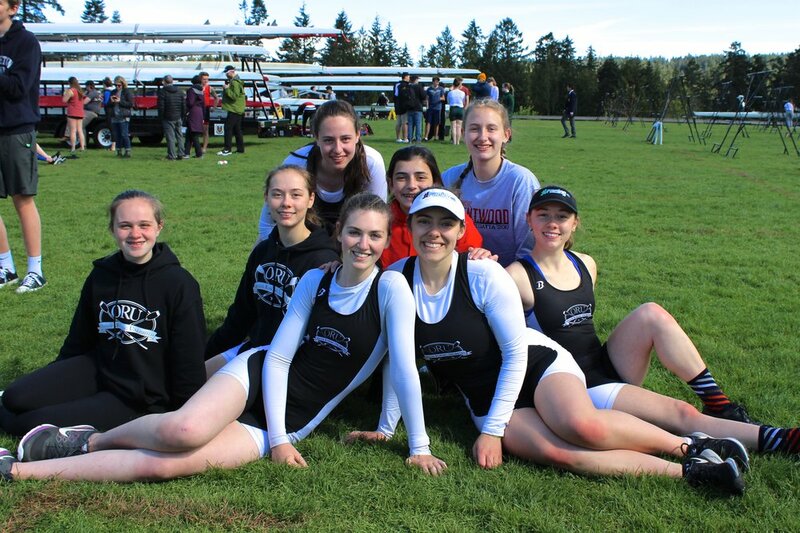 Started off with a bronze medal in the Under 19 4x+ of Gus, Simon, Norman, and Ari coxed by Max S.
Special congratulations to our Under 17 Novice Women 4x+ of Sarah, Sophia, Lauren and Rachel, coxed by Ruby for winning a GOLD. 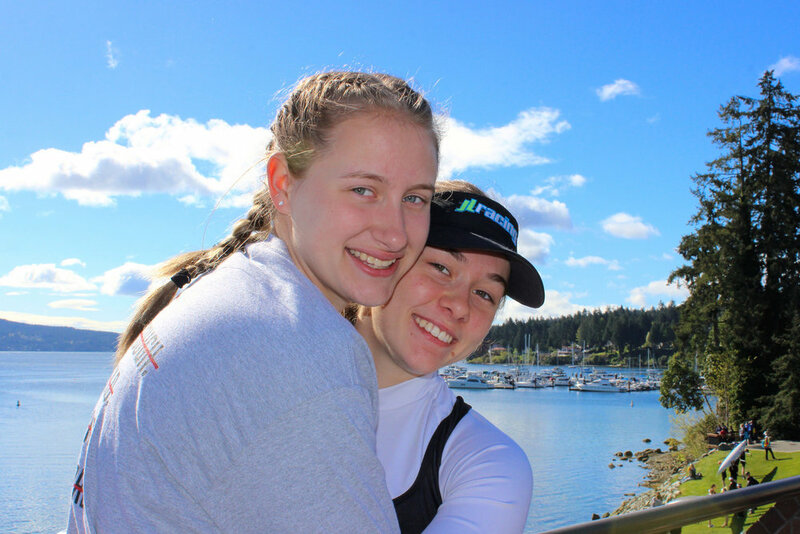 Their coxswain Ruby, took full responsibility for the boat, motivated the girls, and controlled the race with her heart and soul. 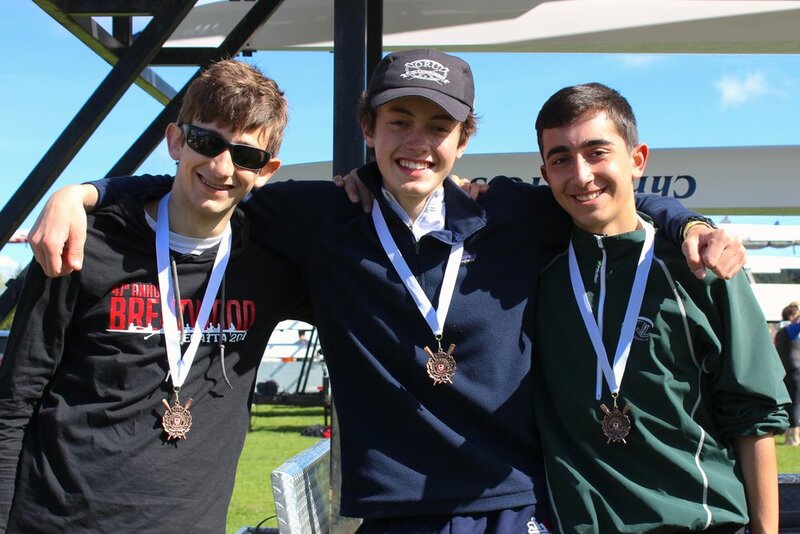 Shortly after that, our Under 17 Men 4x+ of Gus, Keenen, Max and Will, coxed by Max S won a silver medal. Another silver medal, this time for our Under19 JV Men 2x Liam and Ivan, and a bronze medal for our Under19 JV Women 2x Desi and Milla. So proud of these boys and girls! They had some very close racing this weekend. We are pleased with Gus and Simon for placing second in their Under 19 Men 2x event. A stellar performance by our ORU Under 17 Men 2x, Keenen and Max Z. who had a very strong race and finished third. And finally, compliments to our Under 19 Lwt72 Men 4+ crew (Liam, Ari, Ian, and Ivan) for winning bronze. 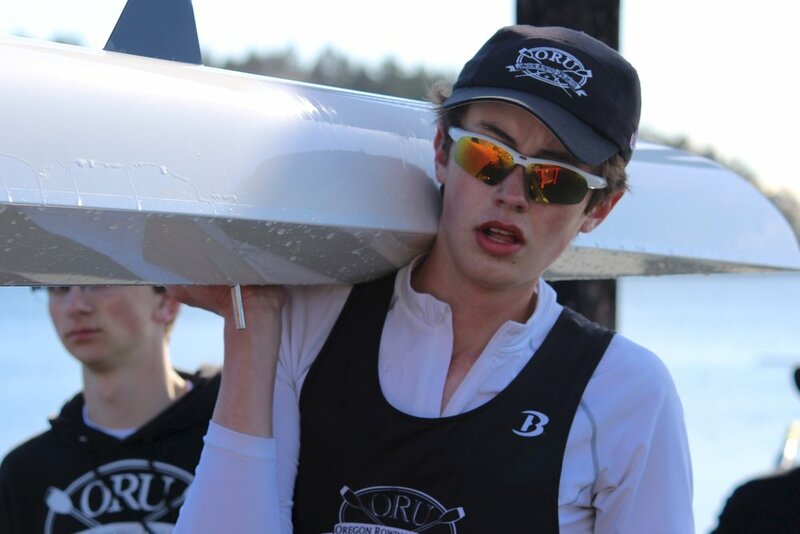 Their Coxswain Max S. ensured his crew had plenty in the tank to finish this race strong. Please don't ever stop doing the incredible job that you do! We are also very delighted with our Under 17 Novice Men 4x+ crew of Shep, Christopher, Adley and Henry. 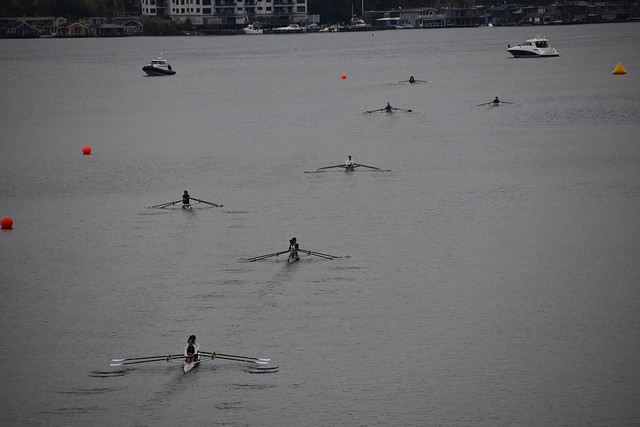 Those fit novice boys had 3-4 very incredibly emotional races in one day. 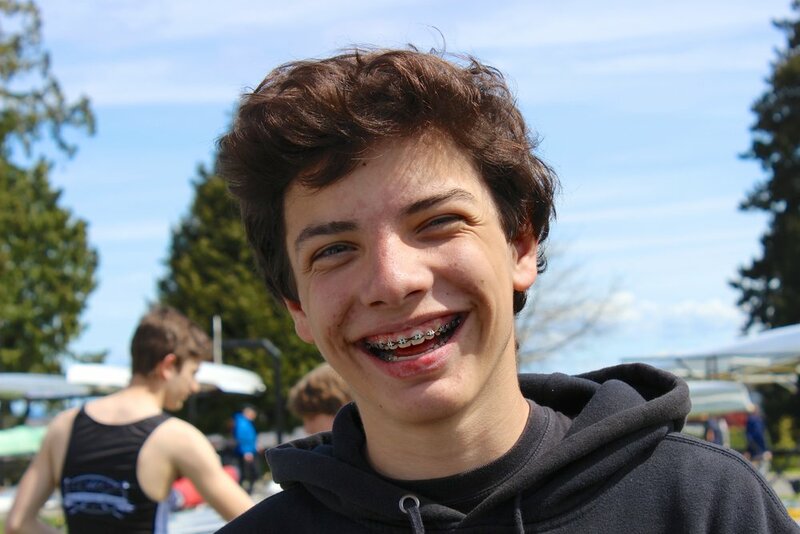 A special congratulations to their coxswain Calvin! His energy and ability to handle stress were incredible. We cherish his determination! Congratulations to our rowers on their historic achievement during this truly amazing weekend! They all have the physical and psychological gifts needed to be great rowers! photos by Carl Mandac, Bess Freas and Linda Callahan. 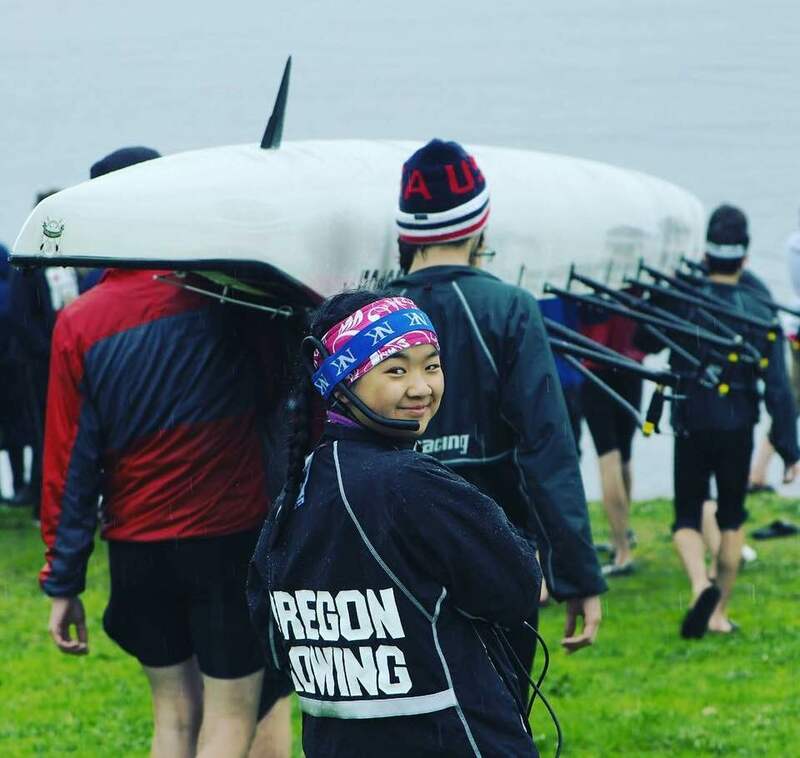 April 19, 2018 / Nadya M.
Another strong performance by the ORU Junior team at the Covered Bridge Regatta in Eugene, Oregon. Seven golds, four silvers and twelve bronze medals were won on the 2K course. With temperatures in the mid-forties, the spring weather was cloudy and with moderate breeze. The lakefront was muddy underfoot and it was really, really cold, but once you get out there, you quickly get warm. The fastest among the ORU boats on the course was the Men’s Varsity 8+ with a time of 6:38. It has been a great regatta! Congratulations team and keep up the great work! 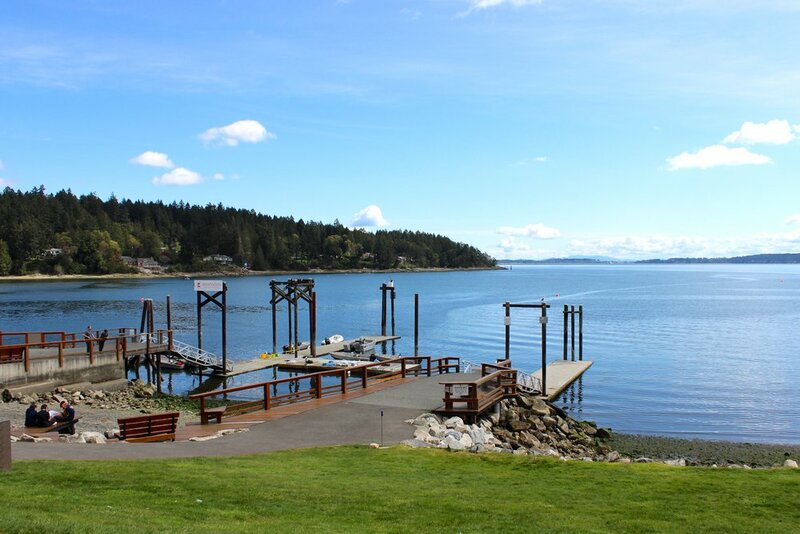 Thank you to Lisa Hilker for the beautiful photos! November 17, 2017 / Nadya M.
Coach Plamen Petrov was honored by the Portland Police Bureau with a Life Saving Award at a ceremony on Thursday, November 16, 2017. The honor is given by the Police Bureau to any bureau or community member who saved the life of another person. On July 28th, Plamen Petrov came to the aid of a local master rower who had a medical emergency (heart attack) while rowing in his single. 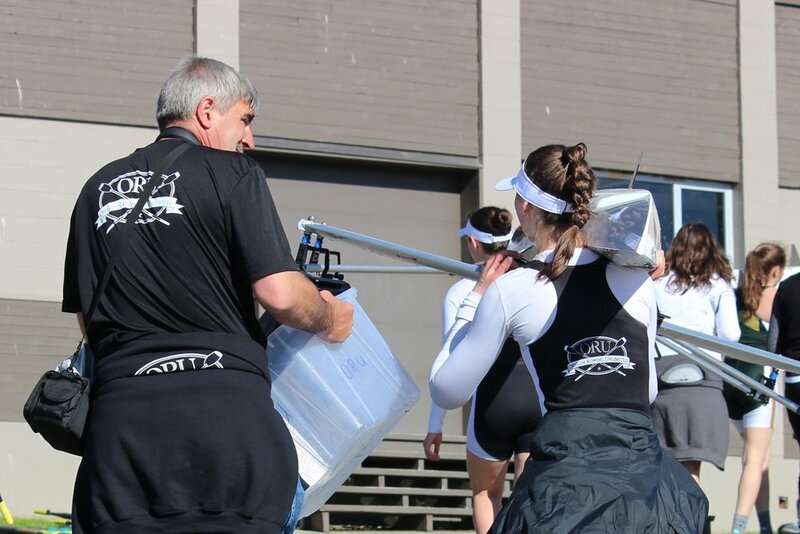 Coach Plamen was nearby and was able to pull the rower, who had fallen into the river with his feet still attached to his boat, inside the launch, where Coach Plamen performed chest compressions and rescue breathing, working feverishly yet staying calm and coordinated until an ambulance could arrive. 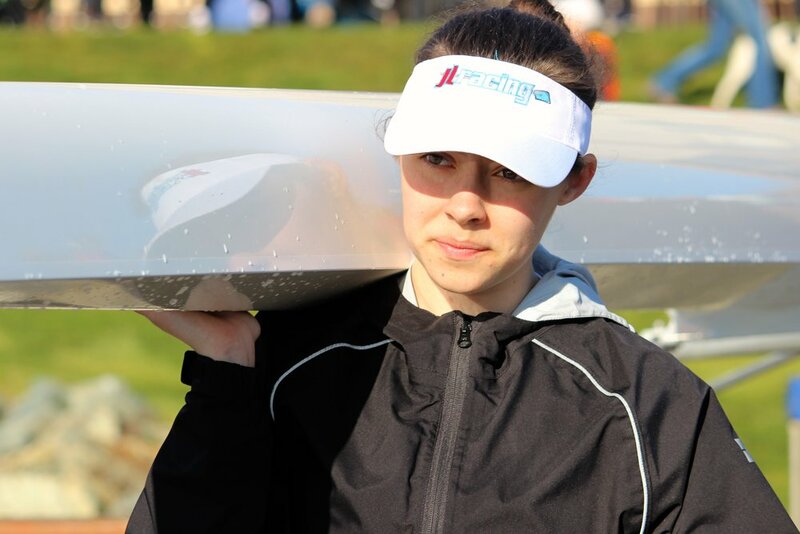 October 02, 2017 / Nadya M.
Beautiful day at the Tail of the Lake Regatta in Seattle. 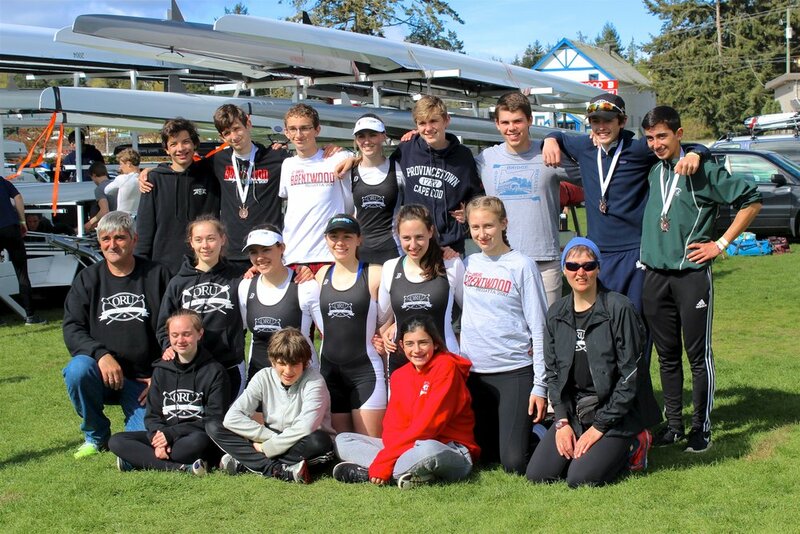 Congratulations to all rowers who participated in the regatta this Sunday. Thank you to everyone who came to the beautiful Lake Union and made it such a great weekend. 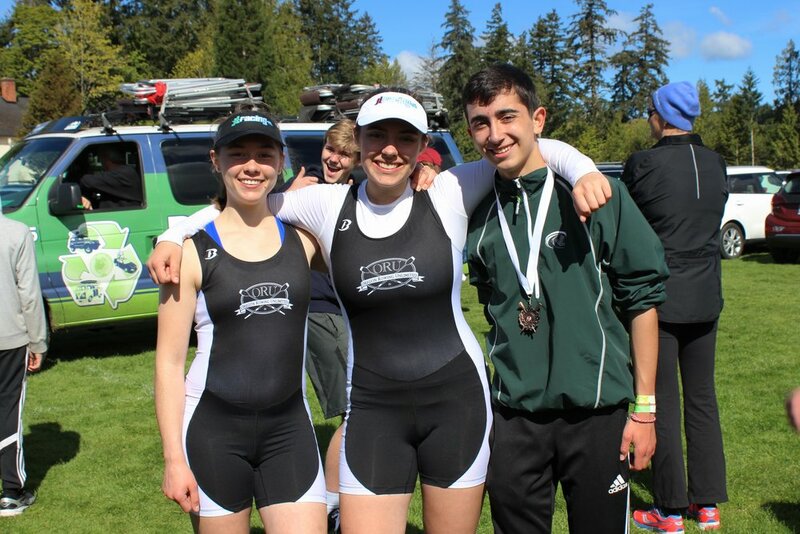 Congratulations to Sophia W, Michael, and Morgan for having their first novice races of the season. Well done! Double golden triumph for our Men's and Women's double sculls. The moment Liam, Ivan, Desi, and Amelia realized they have won the gold was priceless. Norman and Gus had a really exciting race in a double. They placed 5th in their event. Milla and Rachel's boat came in a respectable 9th place out of 22 boats with a time of just under 18min. Parker and Ali placed 8th in the Women's 2x. Ari, Simon, and Tervel raced the singles and placed 6th, 7th, and 10th respectively. Our two ORU Men's quadruple sculls had a great race finishing 3rd and 4th. Bronze lining for Gus, Norman, Tervel, and Ari. The ORU Women's quad (Cleo, Jasper, Sophia, and Sarah) finished 3rd with the time of 16:11.4. Desi and Amelia had a very strong second race and finished 6th in the Women's Pair. Our ORU Men's crew, led by Shep, finished 6th in the Men's Novice 4x+. The Women's crew, led by Lauren, finished 4th in the Women's Novice 4x+. The Men's Jr 4+ crew, with Nicky in the stroke seat, finished 6th in their event. 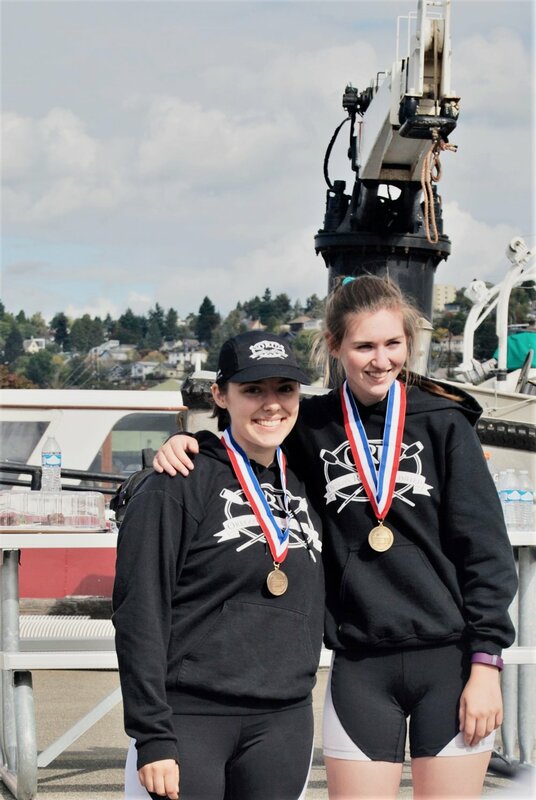 Coxswains Ruby and Autumn ensured their crews had plenty in the tank, determined to finish strong. Some tough races, but what a privilege for our rowers to be in such a quality field. Well done everyone! 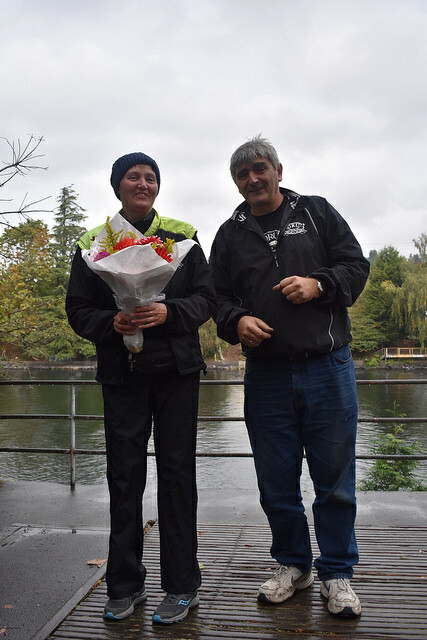 September 26, 2017 / Nadya M.
On August 8th, 2017 a very special men to Oregon Rowing Unlimited passed away: Masters Coach Stephen Loaiza. Stephen officially joined our team last fall. 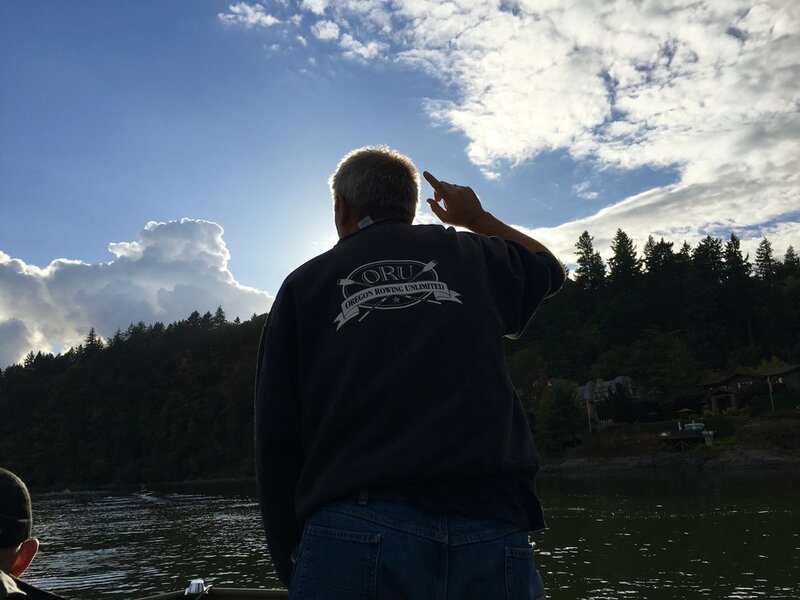 In that relatively short time, he made an immeasurable impact on our club, on our Masters Team, and on countless individual rowers. Rowing was one of Stephen's great passions; it nurtured his body and his soul. 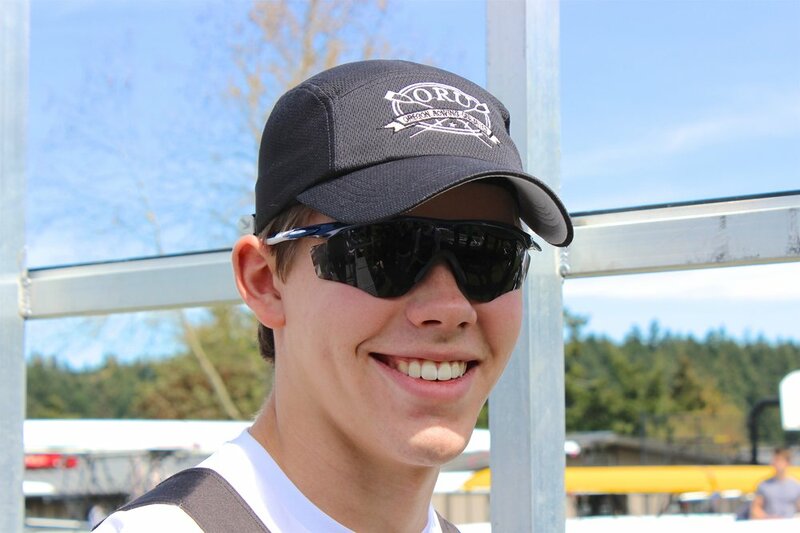 One of his biggest thrills was offering others a glimpse of the joy that rowing could bring. Over the years, he shared his passion with people of all age groups, genders, abilities, and walks of life. He brought people together, on the water and in life. We are so fortunate that Stephen shared his gifts with us. According to him, you don't "choose" rowing, rowing chooses you. All we know is that we are grateful that WE chose Stephen. He will live in our hearts, and in our rowing, every day. 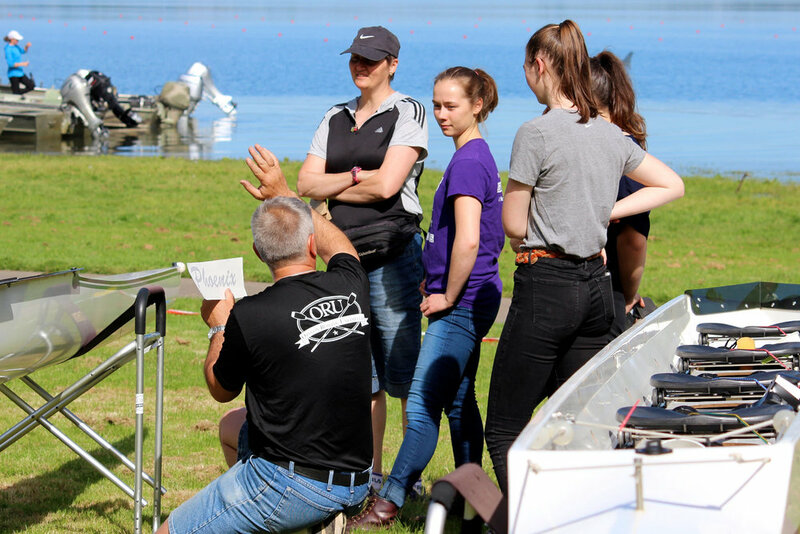 September 25, 2017 / Nadya M.
Excellent representation from Desi, Simon and Ivan in the 2017 World Rowing Championships Youth Regional Challenge. We are very excited to share the news that Desi’s quad qualified to race in the A Final, and finished 1st with a time of 7:12.60. What an achievement! Simon and Ivan’s quad qualified to race in the B Final, and finished 4th with a time of 6:55.64. Amazing performances! We are so proud of our juniors! Congratulations and Best of Luck to Desi, Simon and Ivan! 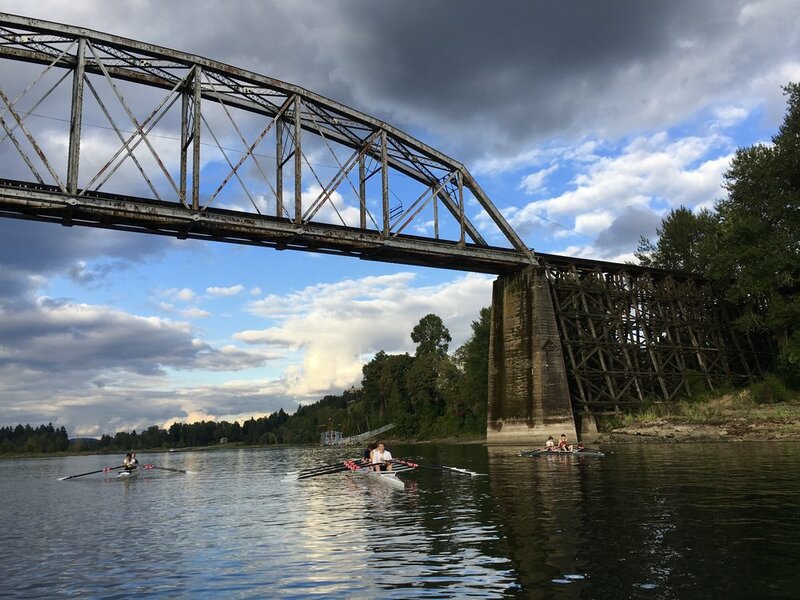 September 14, 2017 / Nadya M.
Oregon Rowing Unlimited - PDX is pleased to announce that three of its youth rowers applied to participate, and were all selected to take part in the Youth Regional Challenge at the 2017 World Rowing Championships in Sarasota-Bradenton, Florida. 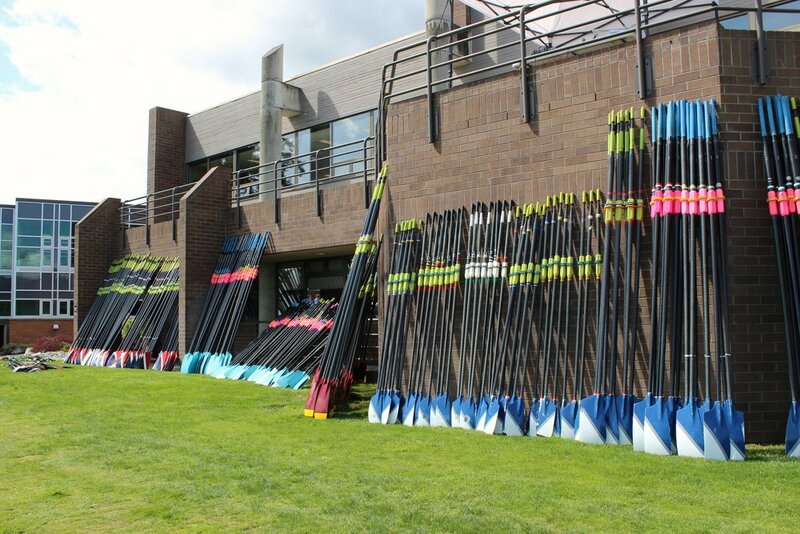 The Youth Regional Challenge will feature 312 of the top Under-19 rowers from across the six US Rowing regions. 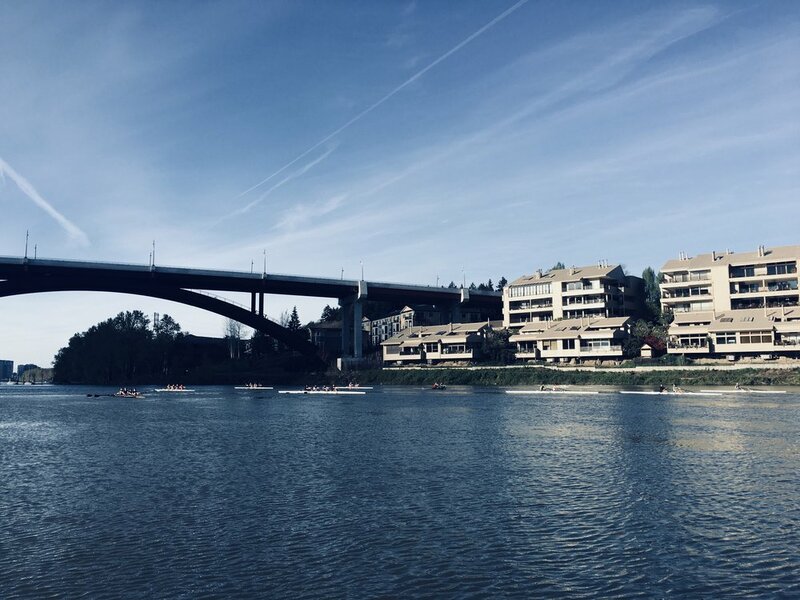 Each of the six regions – Mid-Atlantic, Midwest, Northeast, Northwest, Southeast and Southwest – will be represented by two “all-star” crews in the men’s and women’s eights and men’s and women’s quadruple sculls. ORU athletes Desi Petrova, Simon Hatcher and Ivan Beremski will represent the highly competitive Northwest Region. Desi, Simon and Ivan will compete against other top Under-19 rowers from across the country, taking part in the 2017 World Rowing Championships, racing on a world-class course. The ORU athletes will attend the Opening Ceremony of the 2017 World Rowing Championships on September 23, and take part in racing events at the 2017 World Rowing Championships on September 23 and 24. 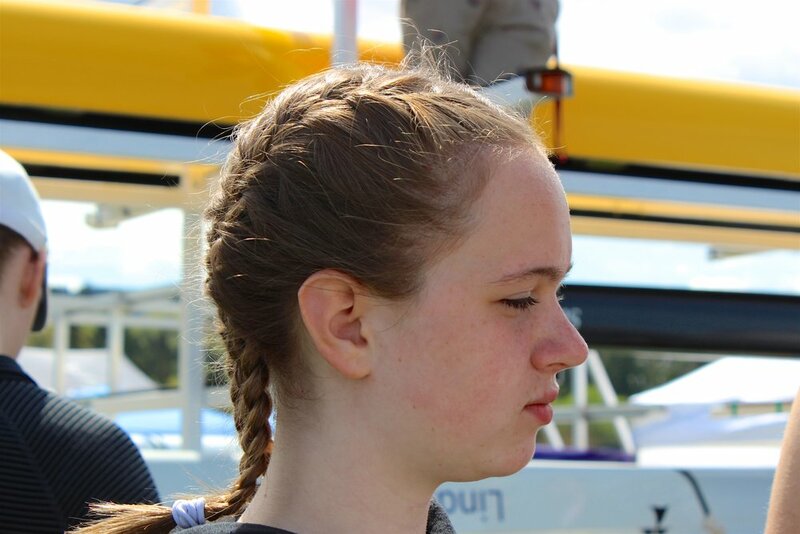 July 12, 2017 / Nadya M.
A stellar performance at the British Columbia Provincial Championships by all junior ORU rowers! 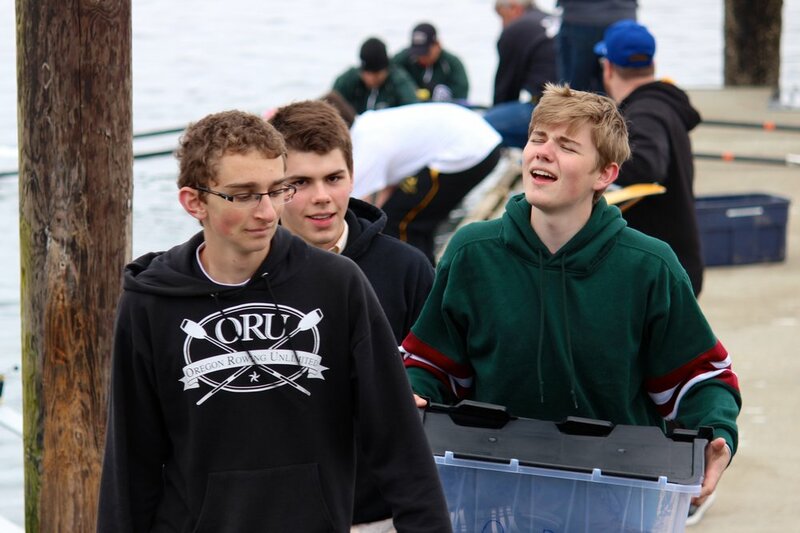 We had many boats qualify for finals and perform beautifully. 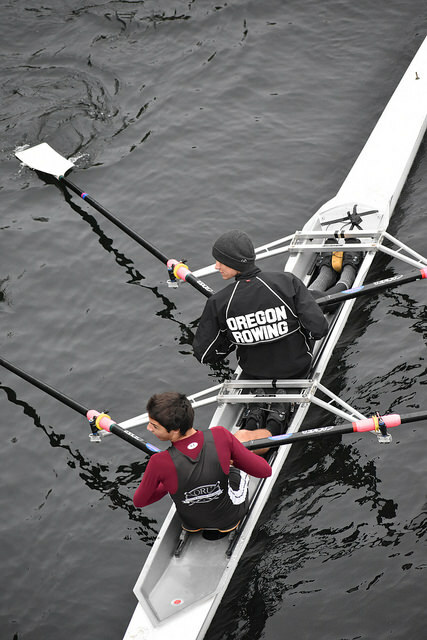 Many of our rowers had more than two races every day, and they still fought until the end to win. Our Men's U15 4x, with August Altucher, Keenen Carlyle, Max Zimmermann and Will Hathaway, placed first with a time of 7:46.89. Our Women's 2-, with Desi Petrova and Amelia Vassallo, placed first with a great time of 8:24.97. 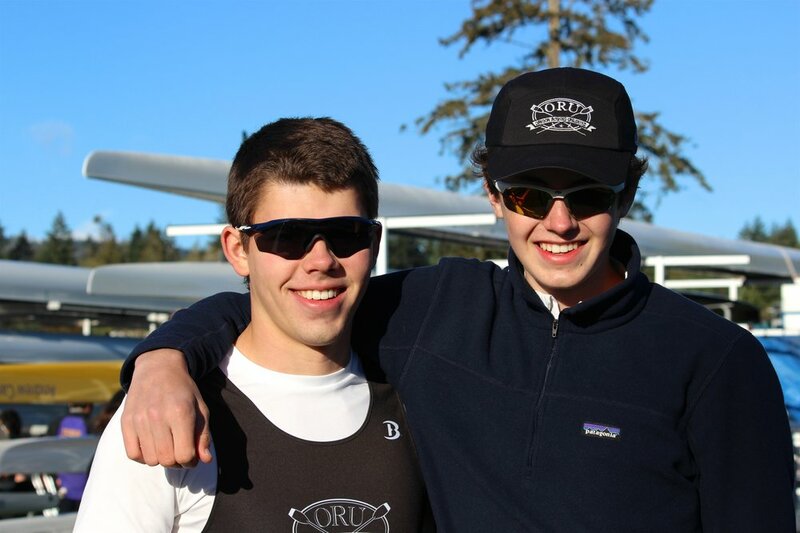 Ari Grayzel and Griffin Palmer placed third in the Men's U19 JV 2x with a time of 7:36.14. 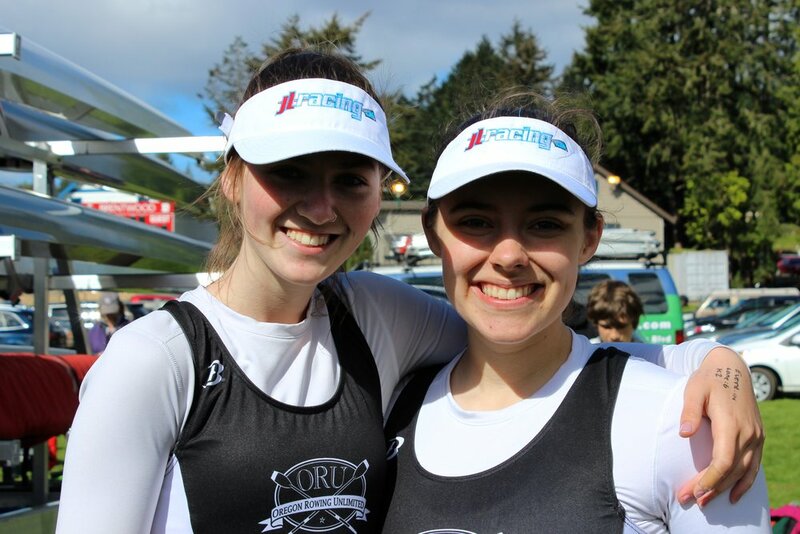 ORU's youngest rowers, Milla Beremski, Mara Cassidy, Lauren Callahan and Rachel Whittington, placed third in the Women's U15 4x with a time of 8:15.09. 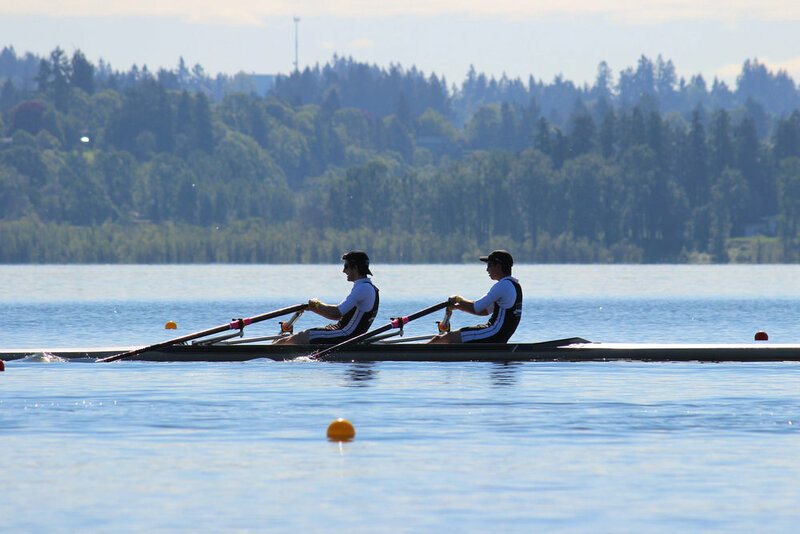 Our gold medalists, Liam Zimmermann and Ivan Beremski, finished with a time of 7:08.73 in the Men's U17 2x. 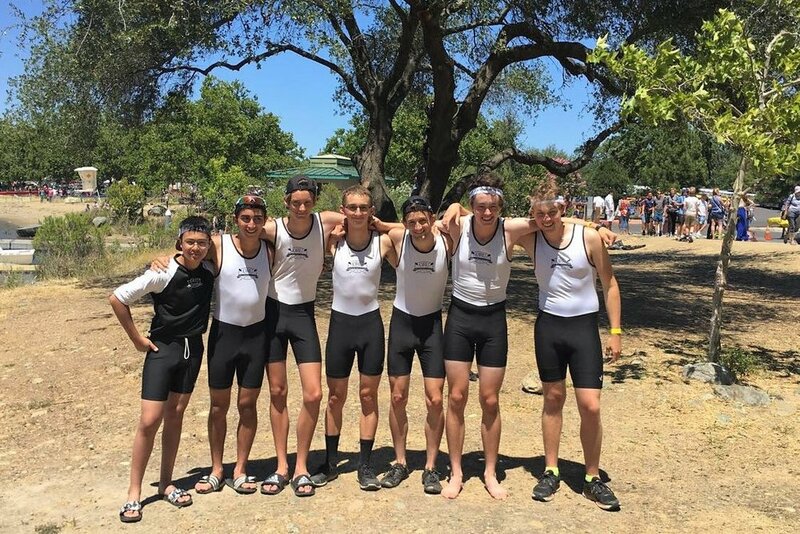 Our Ltwt 4+, with Liam Zimmermann, Griffin Palmer, Ari Grayzel, Ivan Beremski and coxswain Milla Beremski, placed first with a time of 7:04.51. 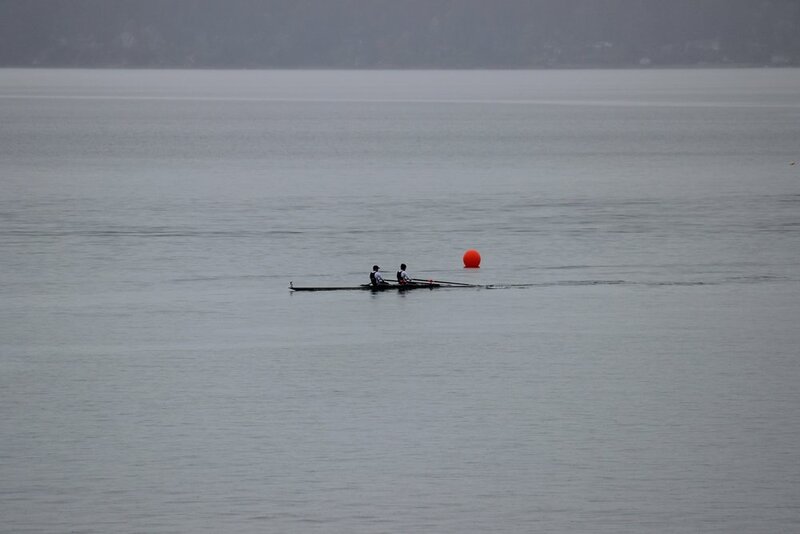 Rowers Keenen Carlyle and Max Zimmermann, placed first in the Men's U15 2x with a time of 8:08.78. 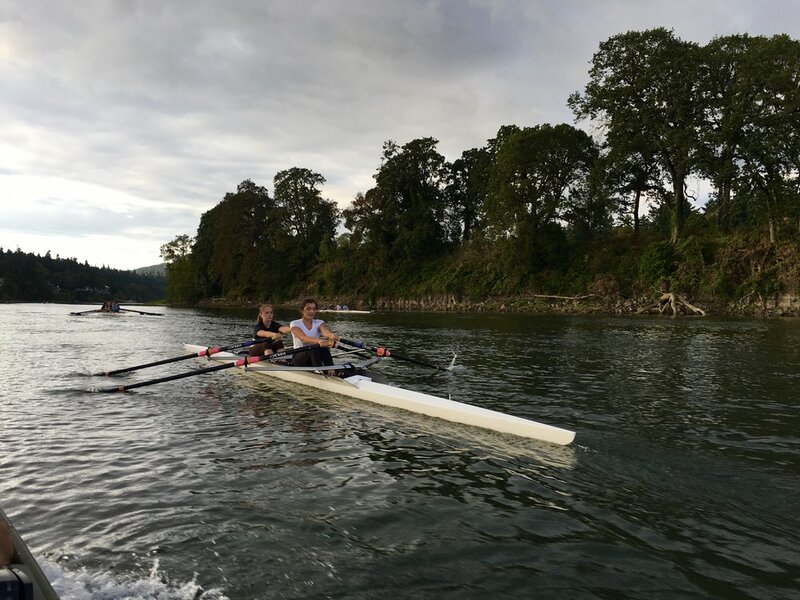 Our other Men's U15 2x, with Ian Lloyd-Jones and Will Hathaway, placed second with a time of 8:38.13. So proud of our junior team. Way to row! Our Women's 3V 2x, with Milla Beremski and Ali Winslow, placed third with a time of 9:00.750. 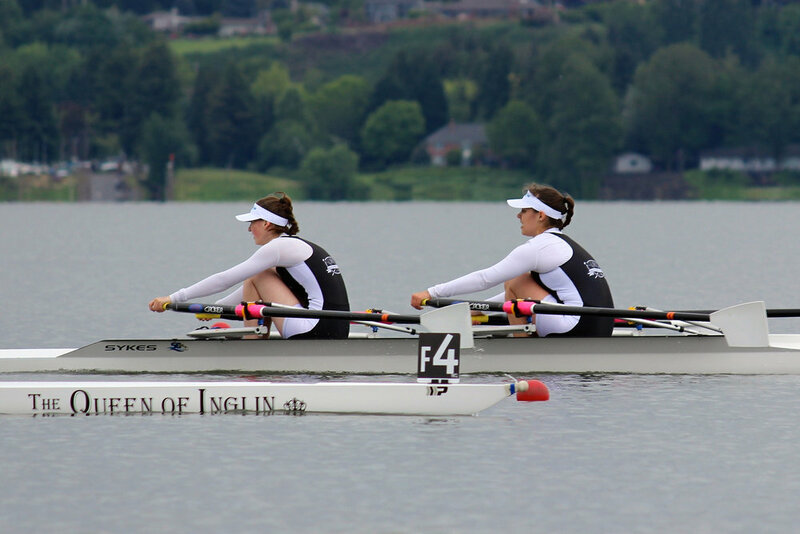 Our other Women's 3V 2x, with Rory Schinkelwitz and Sophia Coseo, placed third with an even better time of 8:34.734. Our Men's Novice 2x, with August Altucher and Ian Lloyd-Jones, placed second with an amazing time of 7:55.580. 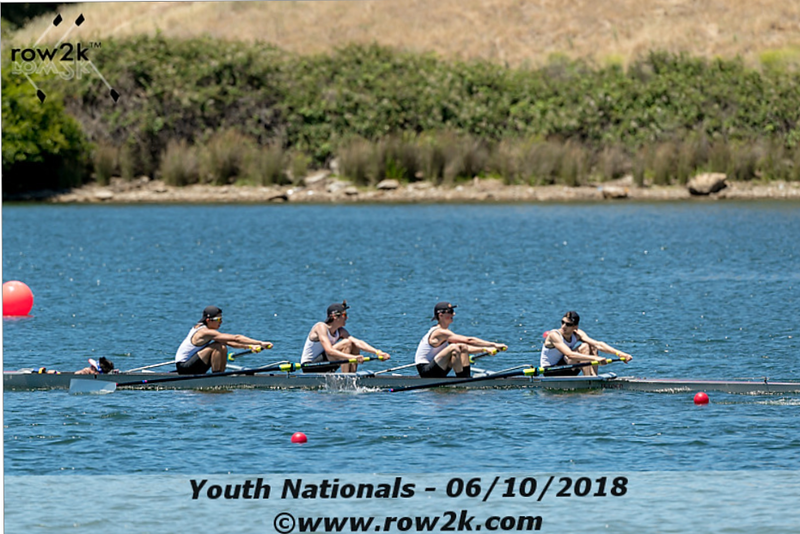 ORU rowers, Nicky Tcherven, Keenen Carlyle, Shep Riley, Will Hathaway and coxswain Ivo Kerefeyski, placed second in the Men's Youth 4x+ with a time of 7:54.220. 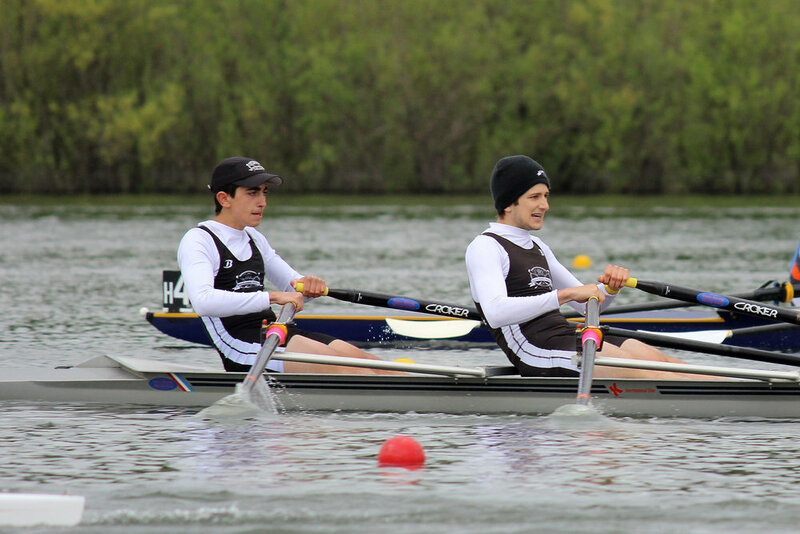 National qualifiers, Liam Zimmermann and Ivan Beremski, placed third in the Men's Ltwt 2x with a time of 7:21.649. 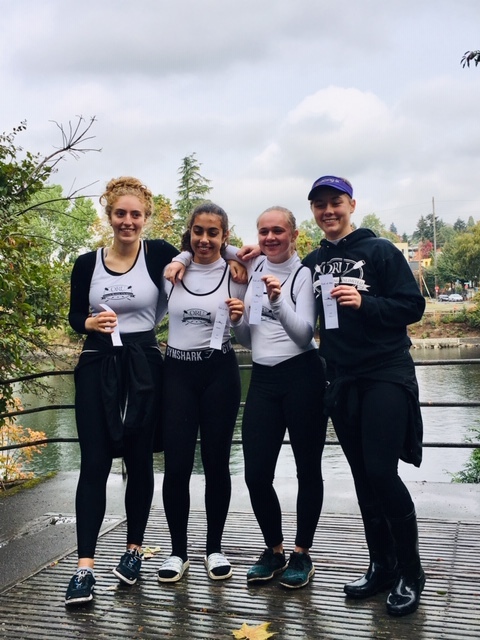 National qualifiers, Desi Petrova, Amelia Vassallo, Cleo Whelan and Jasper Whelan, placed third in the Women's Varsity 4x with a time of 7:27.412. Desi Petrova and Amelia Vassallo also qualified for Nationals in their Women's Varsity 2x with a time of 8:10.435. 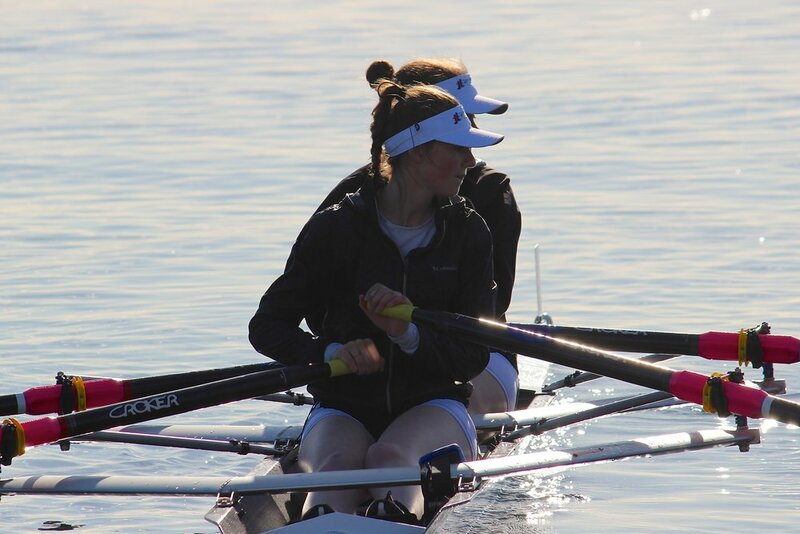 Lastly, our Women's 2V 2x, with Cleo Whelan and Jasper Whelan, placed second with a time of 8:18.971. Photos courtisy to Lisa Hilker.